To achieve a great online reputation, your entire team must be involved in generating reviews for your business. 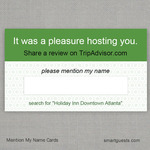 The more team members are involved, the more reviews you get! 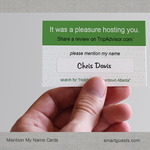 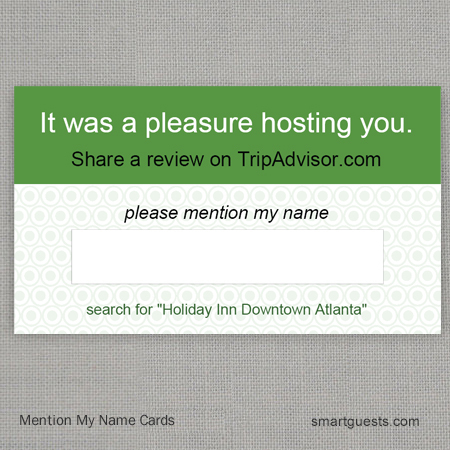 Mention my name cards are a powerful way to help your team be proactive in asking guests for reviews.